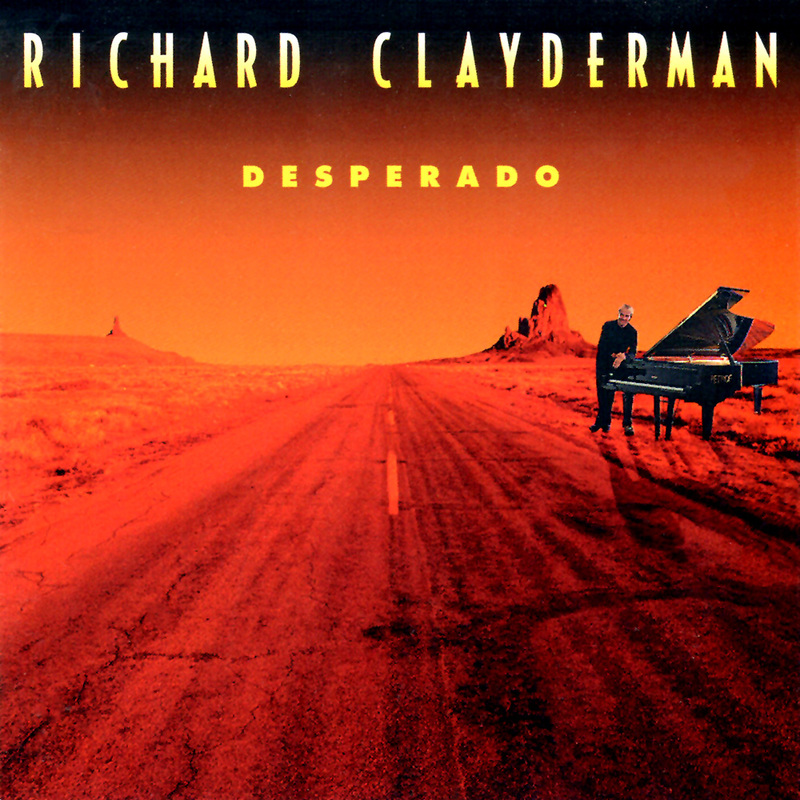 ‘Desperado‘ is a Richard Clayderman studio album featuring 10 original titles composed by Paul de Senneville and released in America and Europe. This was the first studio album not to include any orchestration, and instead features backing tracks made up of percussion, bass, guitars, sax and keyboards. ‘Magic Night‘, ‘Desperado‘, ‘Prince Of The Rising Sun‘ and ‘Indigo Bay‘. Richard Clayderman and his colorful recording ‘Desperado‘ offers to the listener one more beautiful opportunity to revel in the ever changing contours of the world famous Clayderman sound. ‘Desperado‘ not only takes Clayderman to new heights musically, it also features the first U.S. recording in which he is accompanied by vocals.